Get approved for $25,000 or more in just 24 hours. This April is the perfect time to get funding for your small business to get approved for funding. At Silver Rock Funding, we have simple loan solutions for your company. Whether you are ready to begin marketing for the summer or want to hire seasonal staff, now is the perfect time to get up to $500,000 in working capital. Approvals are based on your revenue and time in business. If your business brings in at least $8,000 per month and has been operational for at least 3 months, you could get approved for as much as $500,000 in a business loan for real estate.You can get approved for the funding that your business needs in only 24 hours. That means in 24 hours you could have a Real Estate Business Loan. 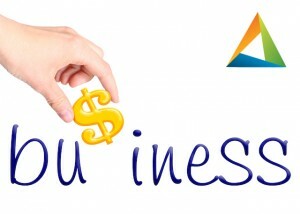 Loans for business marketing can get your business the boost that it needs. Costs incurred by online marketing expenses like website building and ranking on sites like google and Yelp, can be difficult to cover. As costs of websites can fall between $3,000 and $20,000, many entrepreneurs would rather go without the expense. It does not matter if you have one employee or 5,000, without a website you are losing customers to businesses that do have one. Using funding options like the ones offered by Silver Rock Funding can aid your business in establishing a productive marketing program. Get approved for business funding for your marketing quickly with Silver Rock Funding. There are no restriction on what you could purchase with your business loan. Faster approvals than traditional lenders. Money is directly deposited into your business account. Funding can be used for any purchase. Check out the modern funding options through our alternative lenders. Next Post: Could Your Business Get Funding Before the End of the Week?